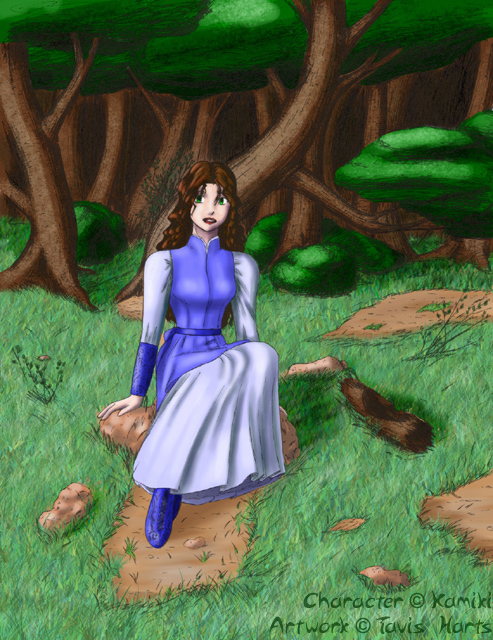 Samantha on the forest's edge. I finally have coloring trees down. :3 I kept the colors a bit dull to give it the feeling that it is getting close to fall :3. My only problem with the picture also goes back to the lineart <.< the Viewers eye is always drawn to her foot. Ah well :p I like how it turned out.